The Gor Mahia duo of Godfrey Walusimbi and Musa Mohamed, whose contracts are ending in December, have renewed their contracts with the club. Both have extended their stay at the club by two years. We already agreed on terms with Walusimbi and Musa with two years deal in place for them. We are on with negotiations and will soon finish up the process with the remaining players, team manager Jolawi Obondo said to the club site. The news will come as good news to many fans. Walusimbi in particular was rumoured to be leaving. 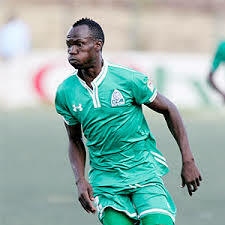 Musa Mohamed had he best ever season in a Gor Mahia jersey. He has been at Gor Mahia longer than all the other players except Jerim Onyango. Three other players whose contracts are ending have yet to renew their contracts: Michael Olunga, Meddie Kagere and Harun Shakava. Gor Mahia will likely be required to name their Africa cup squad before the end of this month. Last year they were given an extension until December 31 but even then they could not register Kagere, Nizigiyimana and Sibomana on time. Gor Mahia will also have decisons to make since FKF have reduced the number of foreigners per team to five. I have the belief that Rachier has Gor in his heart. I think his haters have started chewing humble pie. Some people were yapping how Karim, Sibomana and Aucho were going to leave not knowing that they signed two year contracts early this year. Lets support the EC and stop giving pedestrian criticism just to be seen to be relevant. let me hope this is True status from Jolawi Obondo TM. And also as the Fans please let us help the team at this time of the moment we need to pull the tteam financially imagine this people also need to have fan with their families and no salary coming coz our club is broke. Dan kindly let us contact tony Anelka so that he takes charge of the contributions for our players befor Wednesday next week his hands are safe. @ Kenneth, we heard from the horses own mouth. Both Aucho ,Kagere. nzigiyimana,said that they were not sure where they will be next year of which it means that their contract were coming to an end at the end of the season. So concerns and fans worries stared to creep in regards to the possibility of GM losing their best players. Gor Mahia coach Frank Nuttall could be on his last days at the club following reports of a major fall-out with the management. First of all, the coach has been asked to take a pay cut from his Sh650, 000 per month salary as the club struggles to meet bills without a shirt sponsor. Sources in the club have exclusively told Goal that things are so bad that they can no longer continue to pay the Scott if he does not agree to take a pay cut. He added the management is also disappointed that Nuttall refused to live in a rented house costing the club Sh600, 000 per month on hotel accommodation. This is in support for the fans end of year financial appreciation token to the hard working Kogalo players. Anelka kindly lead the way. I am for ever ready with my contribution from frigid cold Kansas! In victory and glory, in defeat and agony KOGALO FOR EVER !!. I think Gor Mahia should spend money according to its capabilities. It is stupid and foolhardy to spend 1.25 million per month on a coach.